Even as the world has sweated buckets in this summer’s relentless heat waves, people are still moving to new homes. Moving day is already stressful, don’t let extreme heat turn it into a disaster. If you can start moving early in the morning and get the majority done before midday heat really sets in, you’ve already won half the battle. Late evening and nighttime moving carries the same principle, but may feel more tiresome than having the whole morning and day to get moving tasks done. Check the weather the night before and first thing in the morning. Have your outfit ready. Keep it light-colored, light in fabric, and flexible enough for lifting and moving comfortably all day. Keep a supply of bottled water ready. Having fresh water readily available for you and your movers is not only smart, it’s also courteous. While you’re at it, snacks and towels at the ready are helpful to re-energize and combat the inevitable sweat from lifting furniture and boxes. Turn utilities on at your new place ahead of time. Don’t arrive at your new place and endure a lack of air conditioner or fans because you forgot to request utility service ahead of time. Get pets and kids out of the sun — preferably to a friend or relatives’ place. Kids and pets can be a source of extra stress while moving anyways, but throw extreme heat into the mix and you have a miserable and potentially dangerous situation. Moving tends to mean being out in the sun transferring belongings from house to car and making it impossible for any good air conditioning to accumulate in either. If possible, keep children and pets with friends or relatives on moving day until you can safely settle them into your new home. Pack heat-sensitive items separately and smartly. Medicines, food, batteries, electronics, and anything else you think will be compromised by high heat in a packed moving fan should be packed separately. If you can reach these things quickly, they’ll be the first boxes you should get inside to the air conditioning, fridge, or at the very least a cool basement in your new home. Watch for signs of heat sickness in your family and your movers. Moving services are worried about sending their movers out in extreme conditions, too. The moving industry as a whole may bring in over $12.6 billion every year, but heat stroke is probably not factored into anyone’s salary. Keep everyone hydrated and comfortable, and watch out for dangerous symptoms. 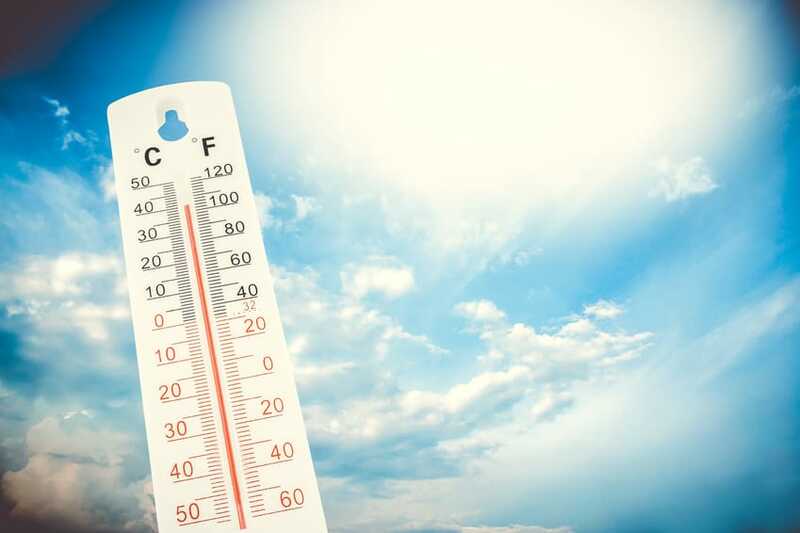 Heat sickness warning signs include dizziness, headache, nausea, fatigue, confusion, and even fainting. Even moving companies in Portland haven’t been immune to the heat waves of 2018. Extreme heat can feel pretty miserable no matter how you try to combat it, but at least you can take these steps to prevent it from being downright dangerous. Prev:Tips For Moving In With Your S.O.